What should I bring with me to my eye appointment? Please bring your current eyeglasses. If you have contact lenses, wear them to your exam. Bring a list of your medications. Dilating drops are used routinely and sunglasses are a necessity. Please bring a driver if needed. Is my examination covered under OHIP? At what age should my children start having eye examinations and how often? It’s never too late to have your first eye exam! We recommend all children have their first eye exam by 3 years of age. Appointments are then recommended every 1-2 years depending on advice of their optometrist. How much is an eye examination and are there any other fees? A full eye examination is $110. If you are a contact lens wearer, the fee is $130. OCT digital scans, which include a retinal photograph, are $40. Automated peripheral visual fields are $45 if you are 20-64 years of age. 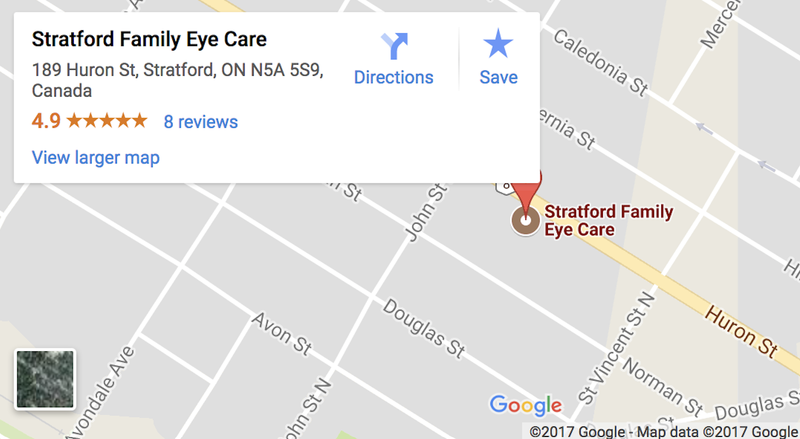 Contact lens appointments are not covered by OHIP.